The Israeli Ministry of Foreign Affairs has enraged Belarus after its decision to shut down five Israeli embassies - including the one in Minsk - for budgetary reasons. Following the announcement of the Israeli embassy's closure, Belarus Foreign Ministry spokesperson Dmitry Mironchik warned his country would be taking reciprocal measures. "We are sorry to confirm that considering the decision to close the Israeli Embassy in Minsk, Belarus was forced to take a series of measures to terminate the activities of its diplomatic mission in Tel Aviv based on the principle of reciprocity." Mironchik noted that Israel had already closed its embassy in Minsk once before, in 2003, only to reopen it after a year. "We are confident that the relations between Belarus and Israel at the ambassadorial level is an objective necessity, and the resumption of their activities is only a matter of time," he was quoted in Russian press as saying. 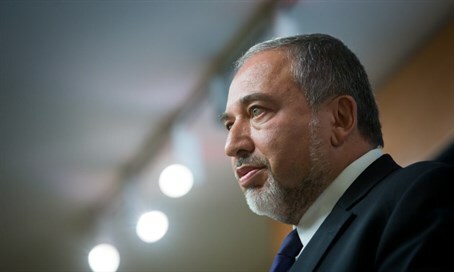 Former foreign minister Avigdor Liberman, who was instrumental in opening the embassy in Minsk, called the move to close it "ridiculous." He also noted that bilateral trade between Israel and Belarus has been on an upswing and it would be a shame to disrupt the momentum over easily avoidable tension. The Ministry of Foreign Affairs explained to Arutz Sheva that it had no other choice but to close the embassy due to a lack of funds. "We regret the closure of the embassy in Minsk, but this is necessary to deal with the wide budget cuts following the government's decision," it said. "There is no desire to damage bilateral relations with Belarus." "We recognize and value our relations with Belarus and consider it an important and key partner in the region. We hope that despite the closing of the embassy, relations between the two countries will not be affected and we will continue to promote cooperation."